I've got another baby-approved recipe for you!!! 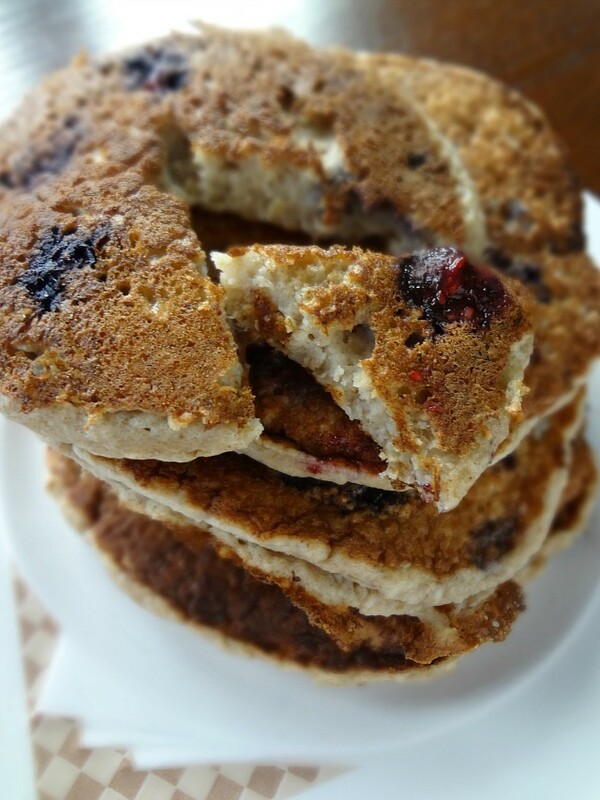 These pancakes are AHHMAZING for everyone because they're super quick and easy to whip up and so healthy AND delicious!! Seriously, Michael and I both loved them almost as much as James (it's hard to compare to the amount of enthusiasm that little guy had for these pancakes. He devoured them in no time flat!) They also freeze great, I made a big batch and then froze most of them so I could easily just take one out and microwave it anytime little man needed his pancake fix. 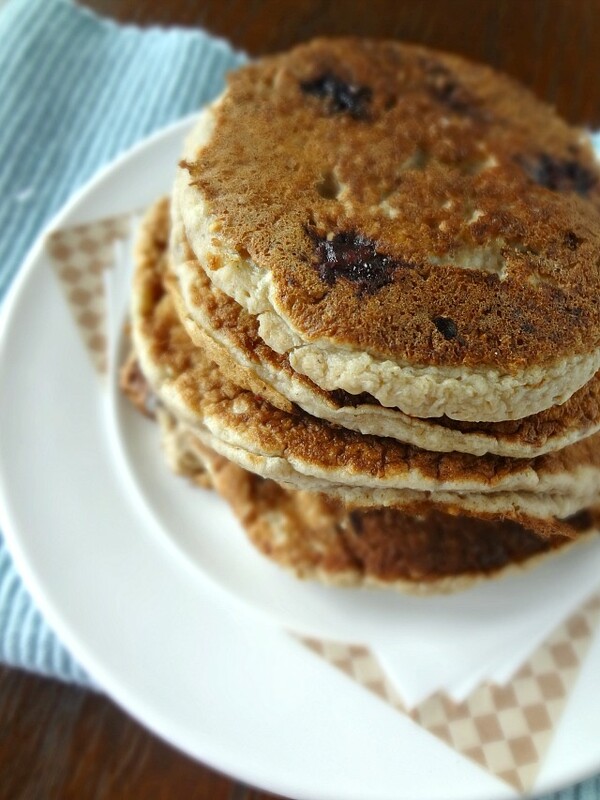 I just love how healthy these pancakes are, they're mostly just bananas and oats! And you just blend all the ingredients in a blender: COULD NOT BE EASIER. I also added blueberries for my boys and because I'm a grown up and I can-and I don't dig blueberries-I added chocolate chips for myself. These were actually one of the first foods that baby James got excited about (he ate 2.5 pancakes in one sitting) and no one can blame him. 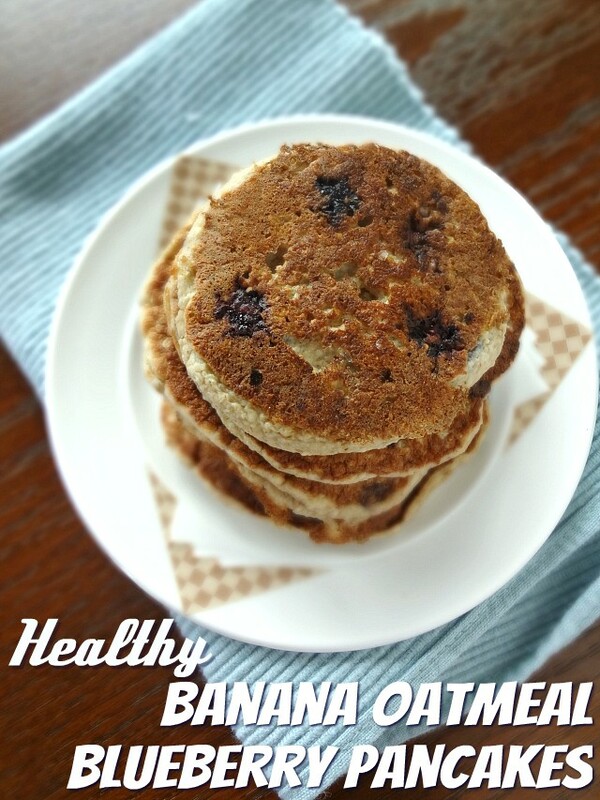 You'll love them and feel good about eating them/feeding them to your family! 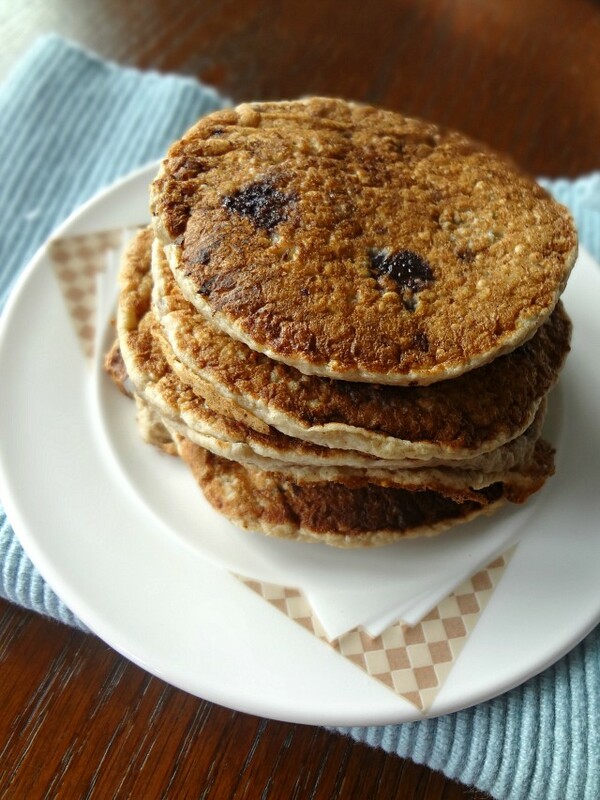 Adapted from What Molly Made's "Banana Oatmeal Pancakes"
Place oats, milk, bananas, maple syrup, egg, cinnamon, vanilla, baking powder, and salt in the blender and blend on high until completely mixed together and the oats have broken down, about 1-2 minutes. Heat a griddle or large pan over medium-low heat and melt a bit of oil or butter on the pan or griddle. Once hot, scoop 1/4 cup of the batter onto the pan. Cook a few minutes on both sides (flip when you see bubbles all over the surface and the underside is browned) and serve warm by themselves or with maple syrup, fruit, and/or peanut butter! Store leftovers in an airtight container in the refrigerator for up to 5 days or in the freezer for up to 3 months. Our freezer stash is out. That is not OK. I must make these again ASAP!